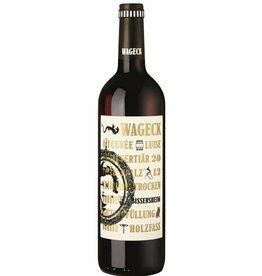 Germany has become a serious country of origin for great red wines . 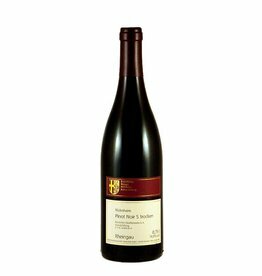 This development is mainly based on one grape variety, the Spätburgunder (= Pinot Noir). The German red wine elite can compete here with international top wineries, which was shown in several blind tastings and competitions in recent years. Above all Spätburgunder from Baden, Pfalz, Rheinhessen and Franconia make a furore, but also in other areas the wines can be remarkable, the area around Rüdesheim in the Rheingau is already traditionally a guarantor for great red wines. The Lemberger grape (= Blaufränkisch ) is also on the uppour, which in Wurttemberg, but not only there, offers great results. More and more international varieties such as Cabernet Sauvignon, Merlot and Syrah are being successfully planted. After a boom in the 1990s, the meander of planting the color-intensive, but tasteless-neutral Dornfelder was abandoned and today everything is focused on high quality varieties, which made really inpressive red wines possible.